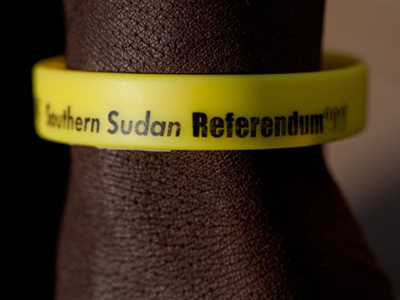 Southern Sudan is preparing to vote in a referendum on whether to split from the north, giving millions of refugees hope they will be able to go back home. Thousands sought refuge in Israel, a country considered an enemy state by the Sudanese government. In the vote that starts on January 10, the Christian-dominated south is widely expected to choose independence from the mainly-Muslim north. The weeklong ballot is being held as part of a peace deal which ended decades of north-south conflict in 2005. 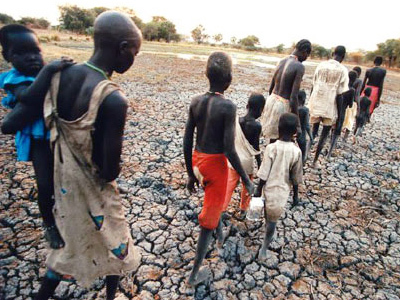 Africa's longest-running civil war killed an estimated 2 million people and displaced 4 million people. Meanwhile, deadly skirmishes erupted along the north-south border on Saturday, with nine people killed in an attack on Southern Sudanese soldiers. Over two dozen rebels have been arrested. Sudanese President Salva Kiir says that the south is not ready for independence and could face instability. However, he promised to accept the referendum’s results, which are expected on January 15. The country's leader is calling on the Sudanese people to "make the decision in a peaceful manner."